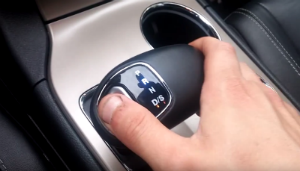 Phillips Law Group is now investigating claims that certain models of vehicles with the “Monostable” gear shift found on select Jeep, Chrysler and Dodge vehicles can roll away and cause injuries or damage to the vehicle, even though the driver believes he has placed the shifter in the “park” position. The affected models and production years of vehicles are the 2014-2015 Jeep Grand Cherokee, the 2012-2014 Chrysler 300, and the 2012-2014 Dodge Charger. These vehicles can roll away when the driver believes the vehicle is in park, resulting in both injuries and damage to the vehicles themselves. Most recently, actor Anton Yelchin’s 2015 SUV rolled away down an embankment, trapping him between the vehicle and a brick pillar and a metal security gate and suffocating him. Although this is the most recent and highly publicized tragedy, these rollaways have reportedly caused hundreds of crashes with dozens of injuries. The problem with the gear shift in these vehicles is that, unlike a traditional gear shift, it returns to the same position after each driver input. So with this confusing electronic gearshift, there is no unique physical position for neutral, park, or drive. The only indication of the shifter position is a light that changes from D to P. In addition to poor visual feedback to the driver, there are also reports that the shifter moved from park to neutral independent of the driver’s input on the shifter. These issues have led Fiat Chrysler to initiate a voluntary recall of 1.1 million cars worldwide equipped with the defectively designed shifter. At Phillips Law Group, we don’t shy away from complex litigation, such as that against a major automobile manufacturer. If you want a firm dedicated to resolving your case, even if that means going to court, contact Phillips Law Group today for a free evaluation of your SUV Rollaway Injury case. As with all of our cases at Phillips Law Group, if we don’t obtain a recovery for you, you won’t owe us a thing. We pay all costs involved in your case up front, so you never have to reach into your own pocket for quality representation. If you’ve been injured by an SUV Rollaway, CALL US TODAY and put the complex litigation trial team at Phillips Law Group to work for you today!